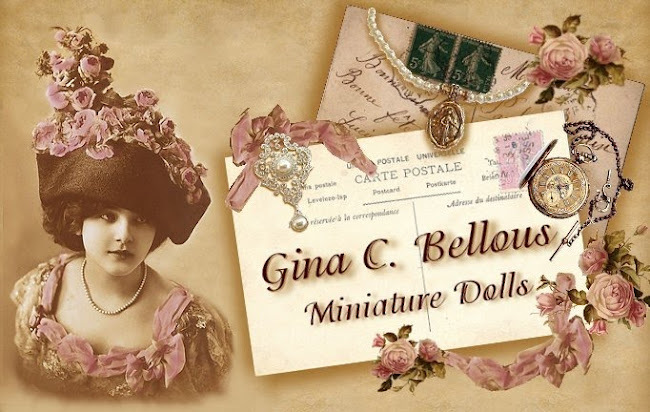 Gina C. Bellous Miniature Dolls: Miniature Doll Molds Are Now Back In Stock! Hooray! For those of you who have been waiting, my miniature doll molds are back in stock. I just picked them up from my mold maker! 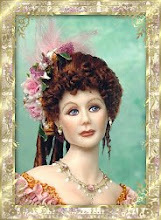 Fine quality miniature doll molds made by a master mold maker. They feature very fine seam lines and release very easily from the molds. Each mold is highly detailed and yields easy to paint castings. Each doll comes with a different set of arms and legs to mix and match. The hands on all dolls have nice separated fingers. The three ladies are wonderful. I have bought many of Gina's molds over the years. The molds are made well so they pour easily. The fine details make them quite special. They are made of high quality plaster to last for many,many pourings. Her dolls are tiny masterpieces.